Today In Trumplandia: Darryl Issa On A Roof! 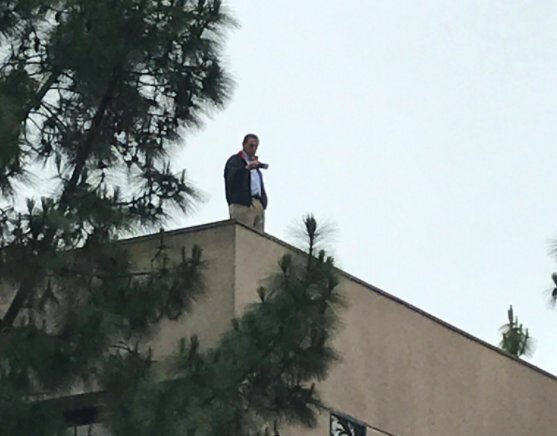 Issa apparently, at least according to Think Progress, didn’t want to talk to his constituents, so he took pictures of them from a roof instead. It’s all rather absurd and creepy and very much the world we live in today. What’s even more surreal is Issa eventually did come down to talk to the crowd and gave an entirely different spin on things. Author Shelton BumgarnerPosted on May 30, 2017 May 30, 2017 Categories TrumplandiaTags Darryl IssaLeave a comment on Today In Trumplandia: Darryl Issa On A Roof!